Rigid polypropylene card dividers with index tabs to organize your card collection. They fit fully in all standard-sized ULTIMATE GUARD card cases and boxes. 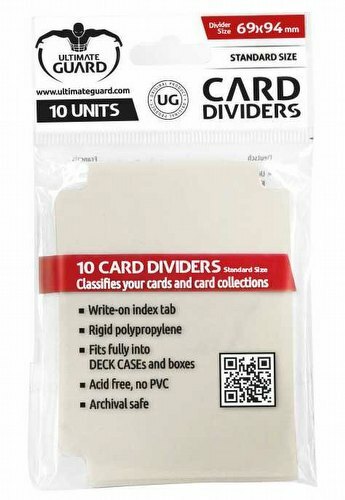 10 dividers per pack. Divider size is 69mm x 94mm.